Brother UK has announced it is to sponsor the SunSport Velo Women’s Race Team for the 2017 season. The news is the latest in a series of partnerships for the Manchester-headquarted company, which has also teamed up with the Pearl Izumi Tour Series, Aviva Women’s Tour and Tour of Britain. 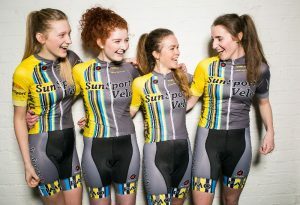 SunSport Velo Women’s Race Team is a collaboration between SunSport Coaching and Velo Espresso, building a professional female cycling team based in Manchester. Phil Jones MBE, MD of Brother UK, added: “Last year saw the team secure some impressive accolades throughout the season including beating Dame Sarah Storey’s Podium Ambition team in the Matrix Fitness GP Series.